Hopefully you’ve already thought about goal setting for 2013. I’ve been working with several clients to identify what objectives and actions we’ll focus on for the coming year, and there’s a recurring theme. Business owners always want to know how to make more money. Great question and it’s worth stating that there’s no magical formula. Hard work and taking action always plays into this. 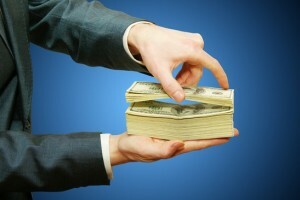 But there are some proven ways to increase the cash that stays in your pocket. 1. Sell more. No rocket science here–you already know you need more sales. The point here is to focus on actually getting those sales rather than getting stuck doing other things. You need a concerted effort to sell more. 2. Target different customers. This is a hard one for a lot of business owners to learn, myself included. We always want to help everybody, but you can’t help those who don’t have any money to buy your product or service. Spend some time outlining the characteristics of your best customers. For example, rather than trying to convince people they need what you offer, focus on those who already spend money on what you sell. Because they already spend budget dollars in this area, they make a better target than those that still need convincing. 3. Increase the value of each sale. What else do you do that your existing customers might pay for? Think about the cross-sell or the up-sell. Does it make sense to bundle additional options or does it make sense to create your product or service into an on-going subscription? 4. Get some help. Write down all of the activities that you do on a regular basis and determine if someone else can do those activities at a lower cost. Especially if you’re the only one who can really sell for your business, you should be focused on the high-value activity and hire someone who can perform these other routine tasks at a much lower cost. 5. Technology. How can technology help you save time? For example, can customers order from your site? Can you find some tech solutions that can speed up administrative tasks like an online invoicing system or an email marketing program that allows you to ‘touch’ your clients on a very regular basis. This challenge comes to every business and it’s a matter of taking the bull by the horns to deliver. Spend some time thinking about the options above to determine the best opportunities for you and your business. Increasing the value of each sale is a great solution to focus on because it forces you to think about the client experience and that can also produce additional referrals for your business. Our complimentary e-book on building a customer experience is a great resource if you’re looking for ideas to use in your business. You can download this e-book now.